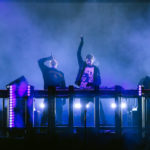 The Re:Generation movie raised the bar for electronic music films, but now Ultra Music Festival is finally gearing up to release its very own full-length feature, Can You Feel It. 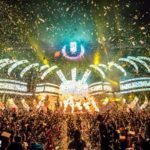 Similar to Insomniac’s EDC Experience, the film gives an inside look at UMF 2011 — an inconceivable year for EDM and its pioneers like David Guetta and Carl Cox. A huge premiere on Wednesday March 21st will serve as the kickoff to Miami Music Week, and UMF 2012 ticket holders can even reserve a pair to the screening for free. Those not in Miami will be able to see the film the following day, March 22nd, for one night only — though it’ll incorporate footage from the red carpet event taking place the night before. Hopefully everyone behaves themselves at this premiere; we don’t need another flashmob.